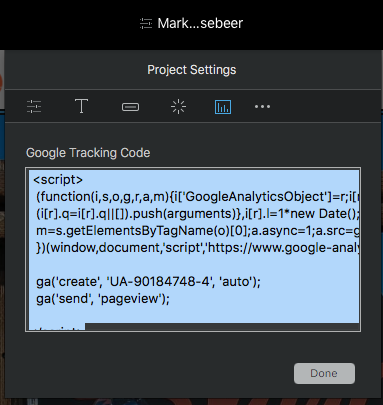 Added google tracking code, why does it show in the header? I added the google UA … tracking code to my web site in blocs but it has the side effect that it shows up as visible above the header image, which is bizarre. Is this normal behaviour and is there any way to turn it off? Did you put the code in the project settings? Open your project and click on the project settings. Click on the tracking code icon and then insert the code in the box. I got confused and just put the UA Code in there originally.